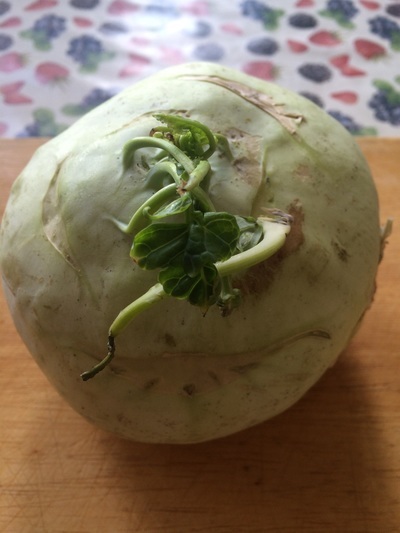 Kohlrabi is one of those vegetables you see on the shelf in a supermarket and you think to yourself what is it? Or more simply, how do I cook with it? The quick answer is that it is something between a cabbage and a turnip. When cooked it has a soft consistency which is tender and delicious with any sauce. 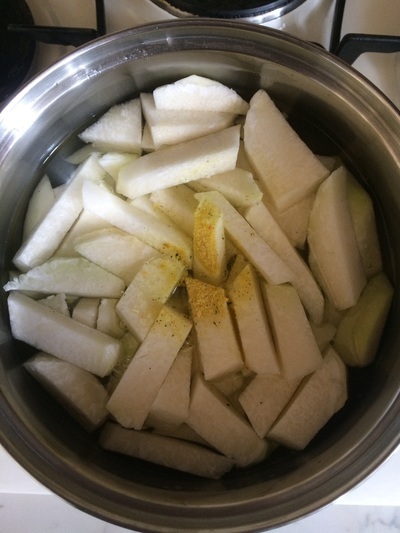 It is a vegetable that is growing in popularity due to its nutrition value. For example, it is rich in antioxidants, nutrients and minerals. It goes well with meat, other vegetables and cooks quickly, just like cabbage. Half a cup of full cream milk, cream or sour cream. Take the outer skin off so you are left with a perfect white bulb. 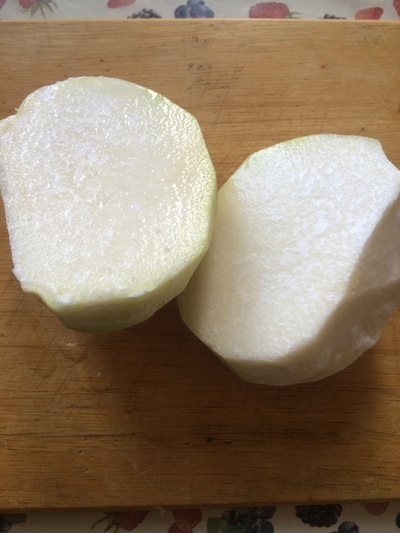 Slice it in small cubes or rectangles and place in a pot, with just enough water to cover. 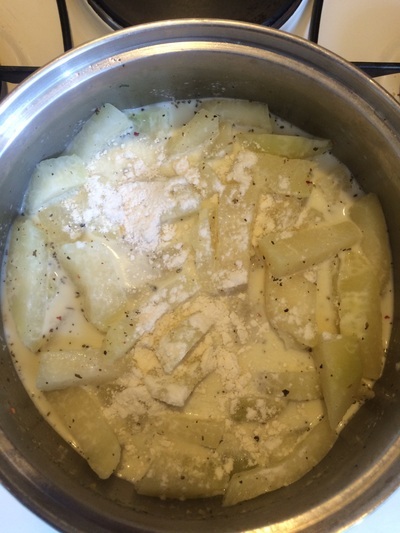 Add the powdered vegetable stock and cook until soft. When you are satisfied with its consistency add a little bit of butter and cream or full cream milk. Leave it cooking for a few minutes. Add pepper and parsley or herbs or fresh herbs of your choice. In some supermarkets it is available, specialty ones too. But it might also be seasonal.